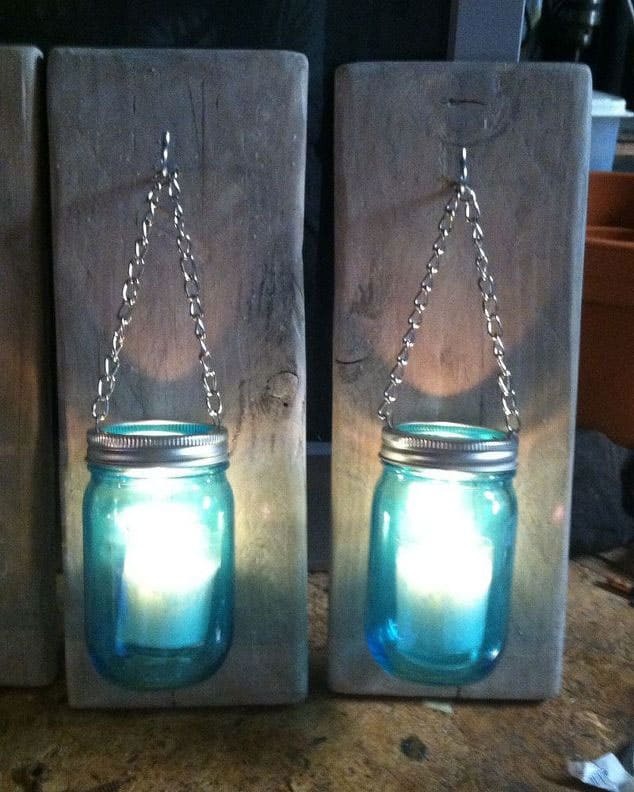 If you love mason jar crafts and fairy lights you are going to love today’s DIY project! 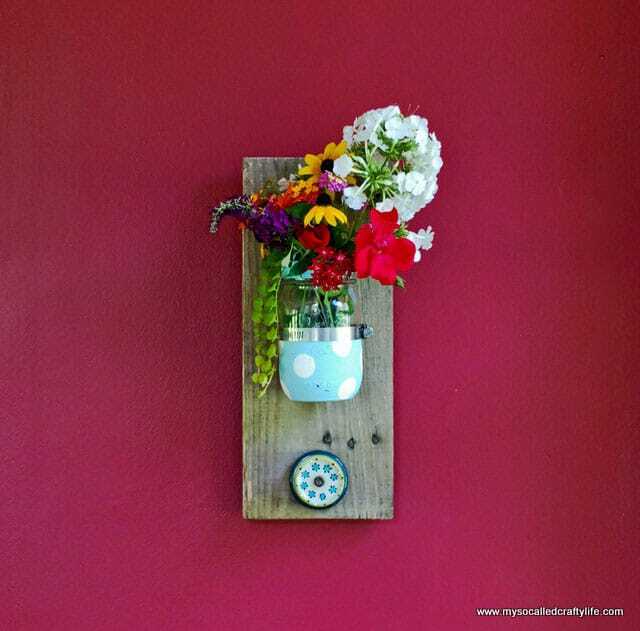 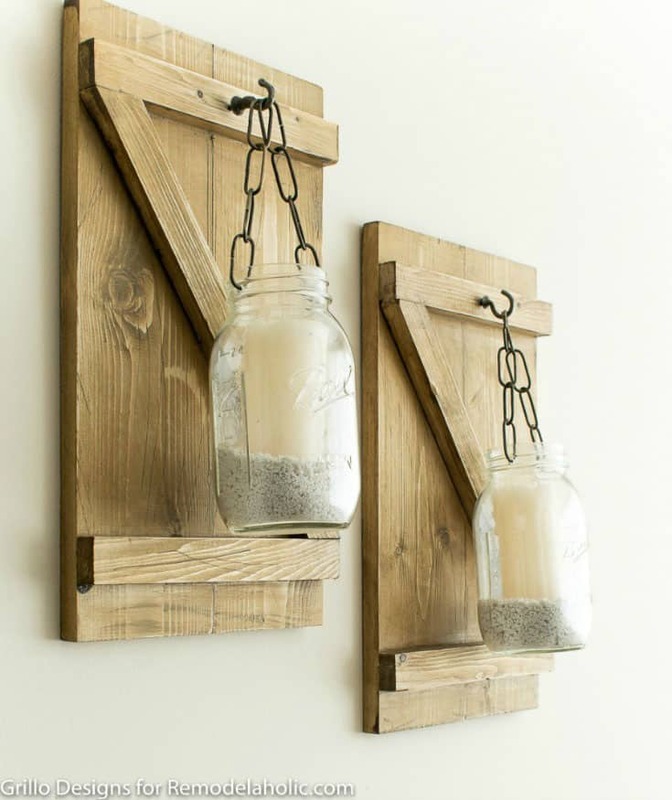 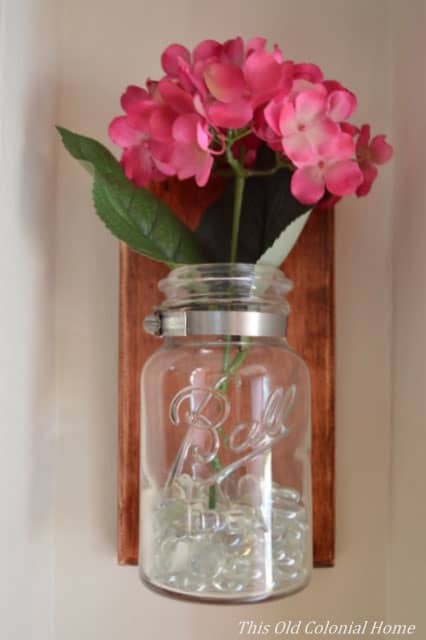 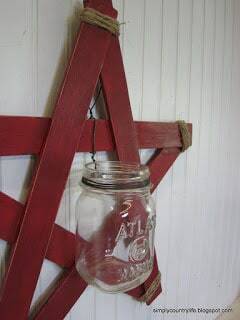 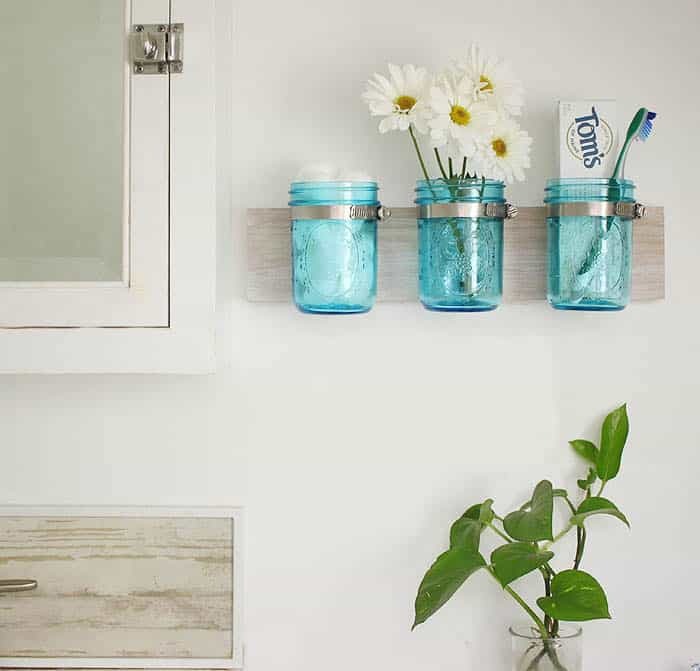 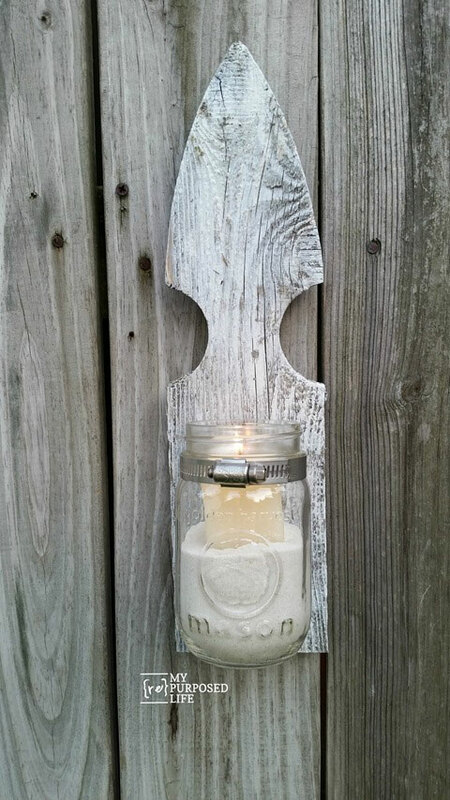 Maura from Happy Deal Happy Day is going to show you how to make this gorgeous DIY mason jar wall sconce. 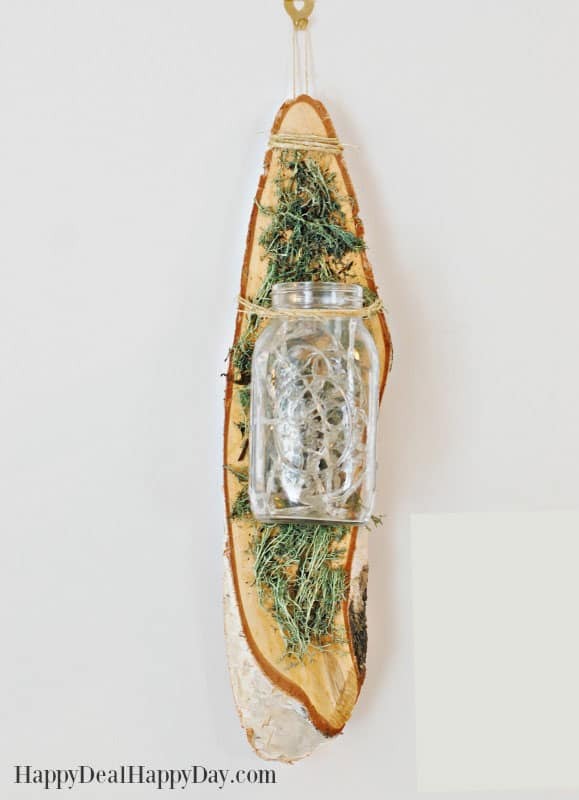 The combination of wood and moss gives this lighted sconce a real rustic feel. 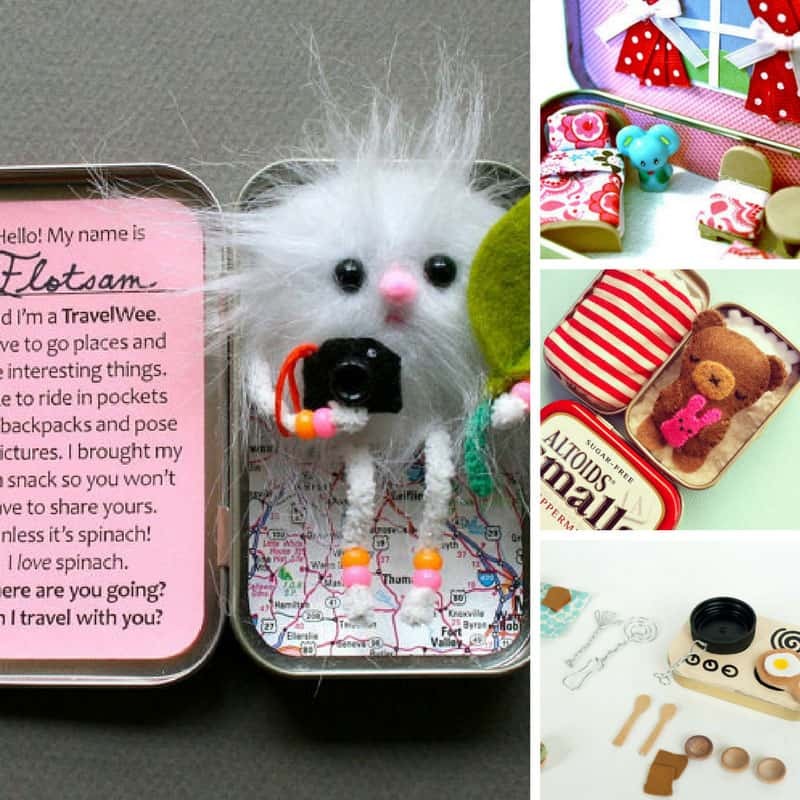 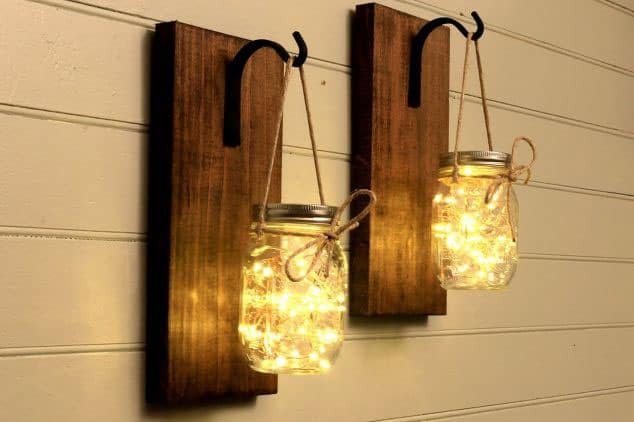 And of course you’ll be able to enjoy that fairy light sparkle all year round! 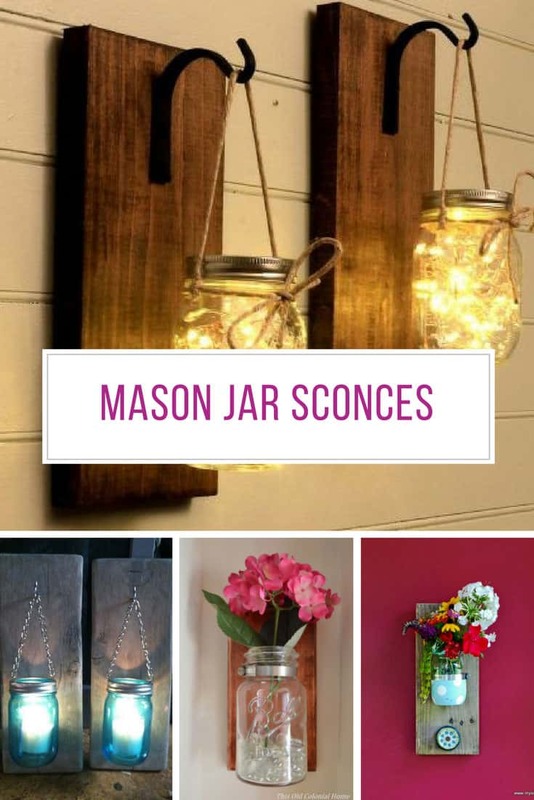 You know we can never stop at just one DIY tutorial right so we scoured our favourite blogs to come up with a heap more DIY mason jar wall sconces to inspire you! 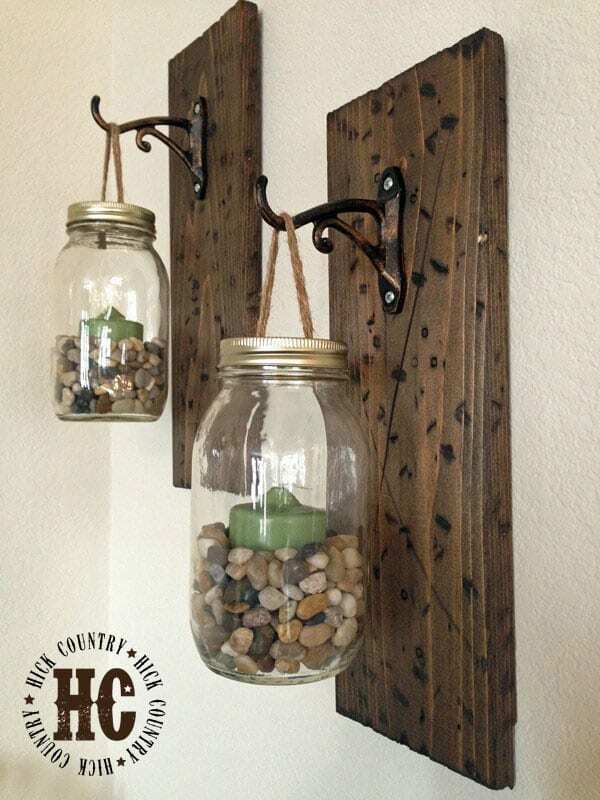 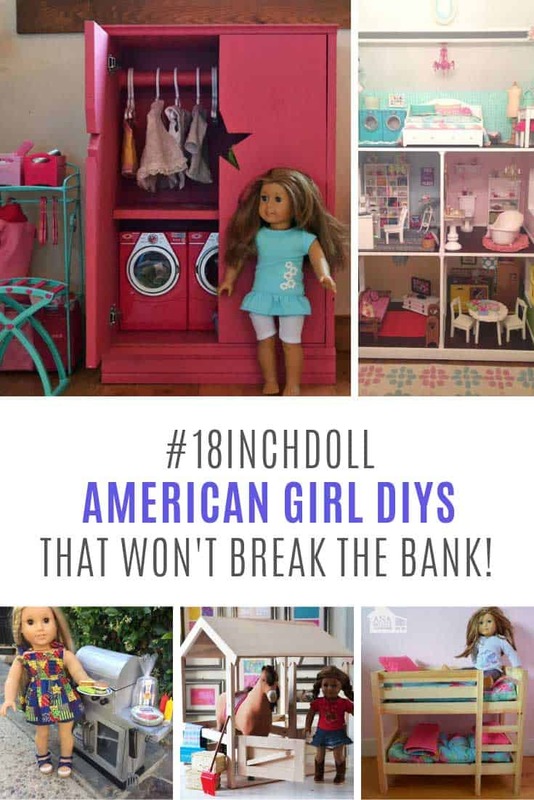 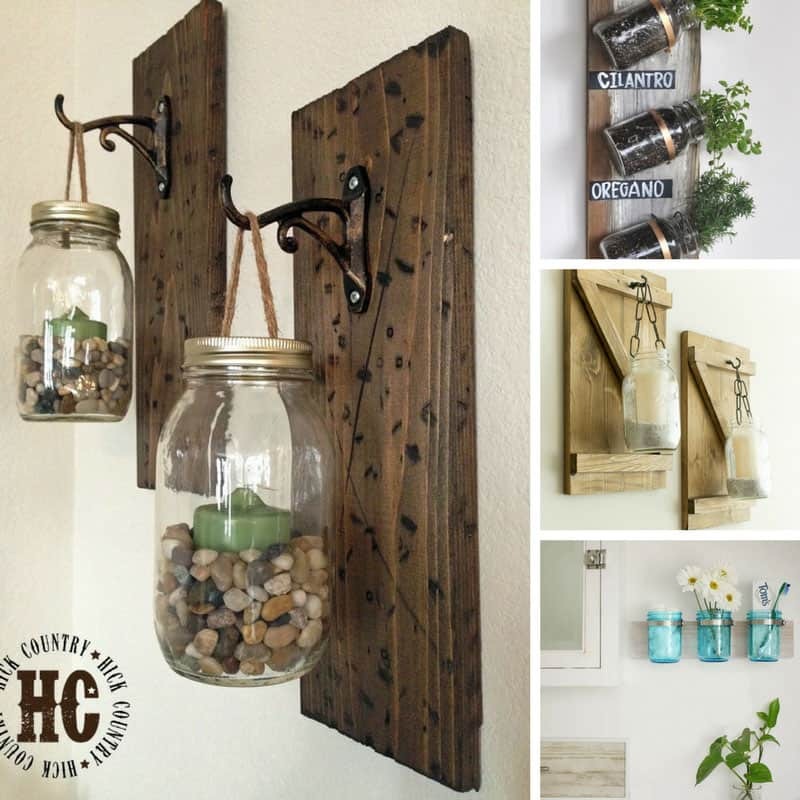 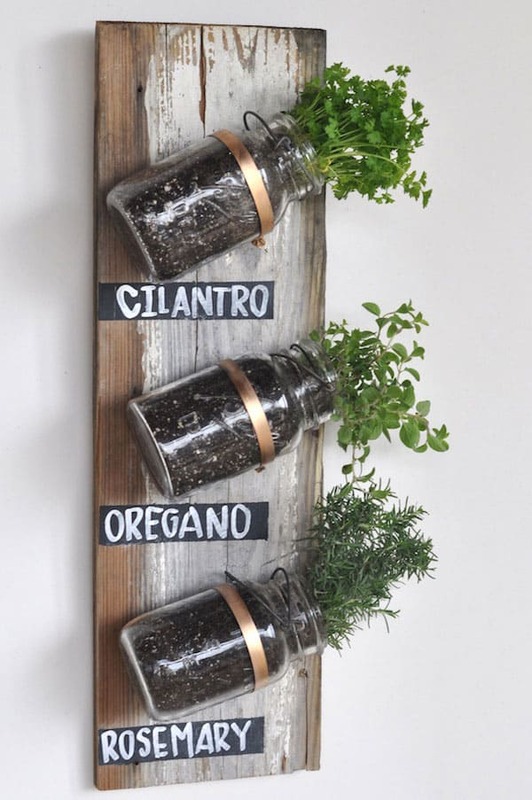 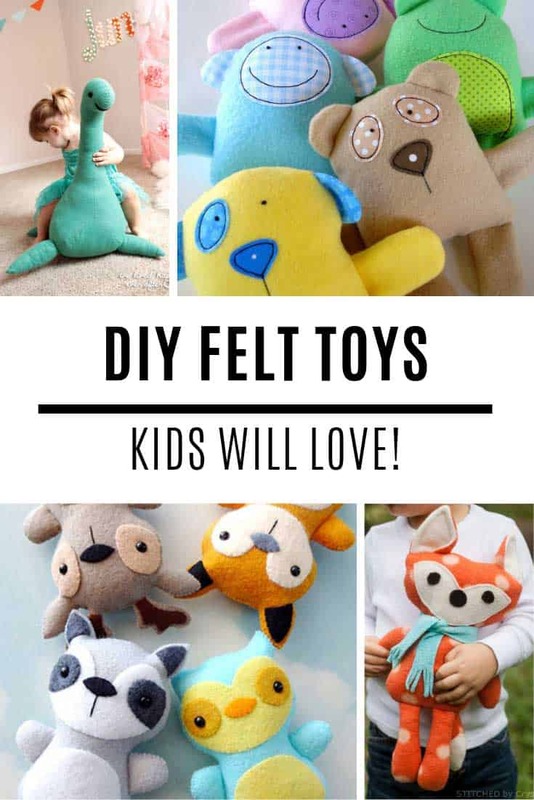 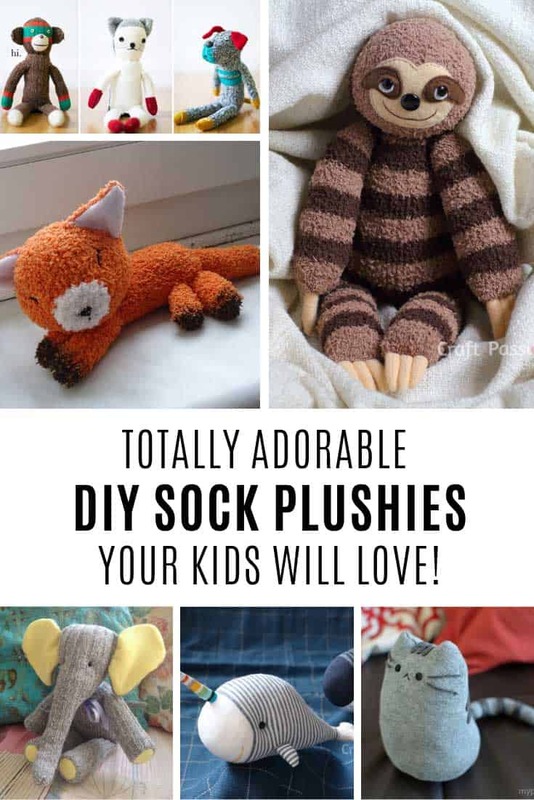 And of course you don’t have to just put lights in your mason jars, these projects will inspire you to use them for flowers, bathroom supplies and even as a herb garden!